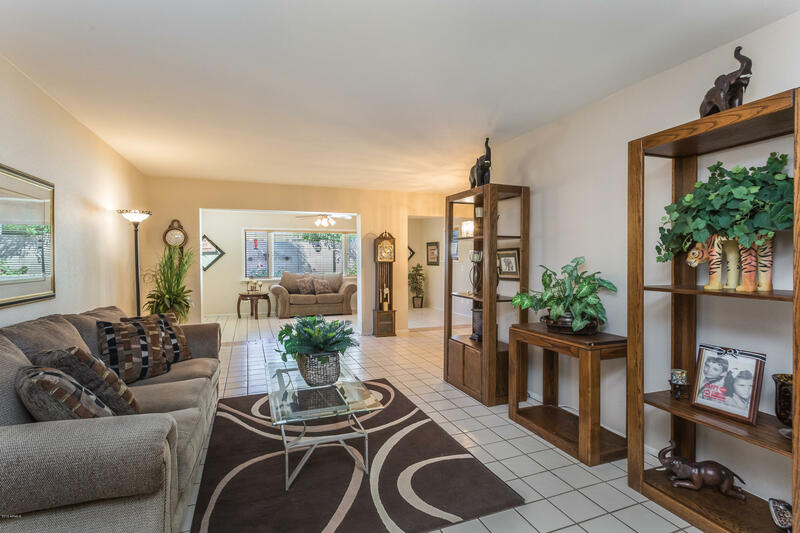 All VILLA MONTEREY 7 AMD homes currently listed for sale in Scottsdale as of 04/20/2019 are shown below. You can change the search criteria at any time by pressing the 'Change Search' button below. "Lovely and popular 2 bed/2 bath townhome in Villa Monterey with an ~ 250 sqft flex space full of possibilities! Easy care tile floors and right-sized, shady, low maintenance yard with beautiful rose bushes including a corner shade tree. Both bedrooms are big with newer beautiful granite topped bath vanities. Charming 55+ community in the heart of the Valley's most exciting dining, recreational and shopping area. Take a quiet and relaxing walk to the Old Town Scottsdale Farmer's Market or ride yo"